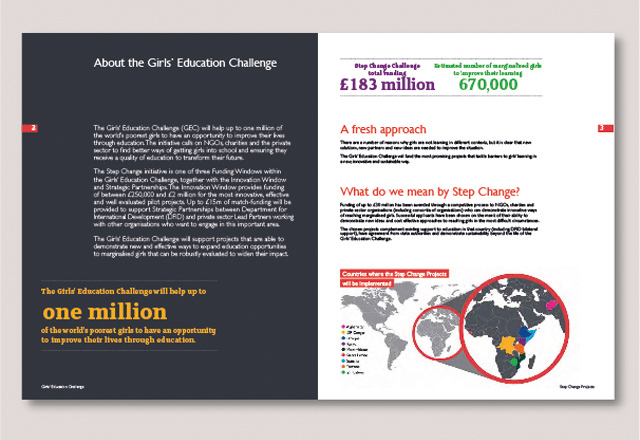 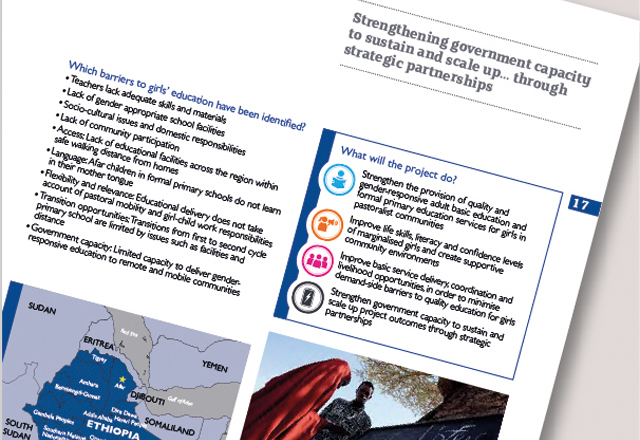 Designing and producing a 36-page information brochure about the first 15 projects selected to receive funding by the Girls’ Education Challenge (GEC). 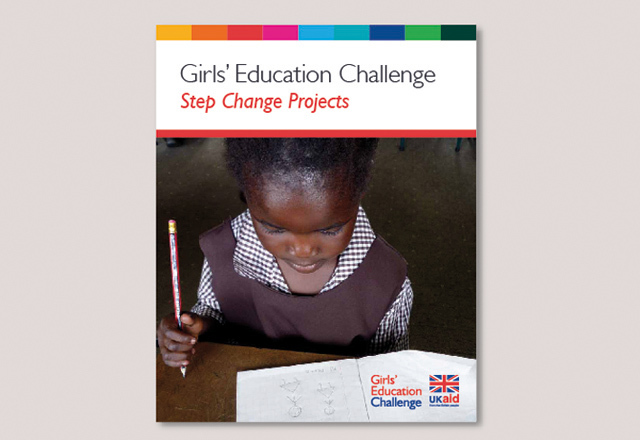 GEC is a programme funded by the Department for International Development (DFID) aiming to give marginalised girls an opportunity to improve their lives through education. 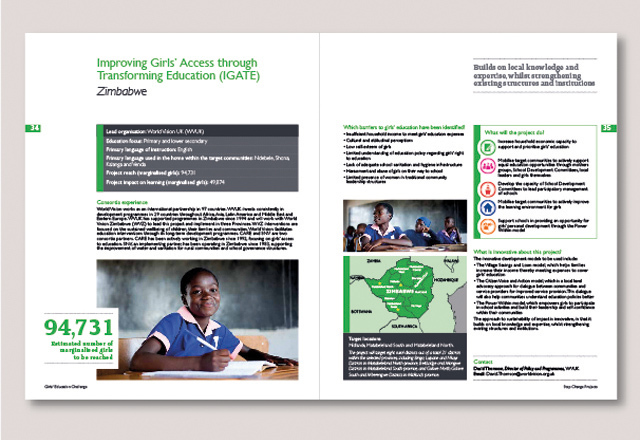 To help present the information for each project in an accessible and clear way, we produced icons for the different project outputs covered by GEC.